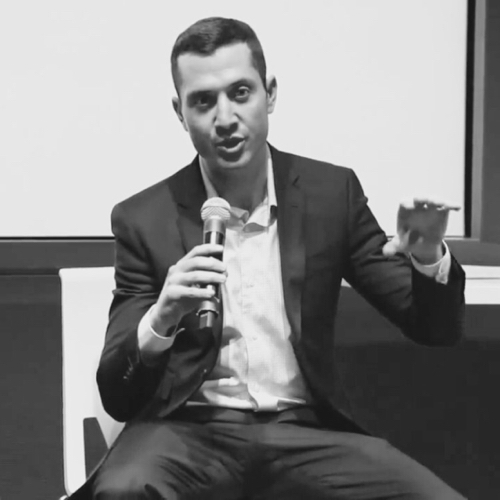 The Innovation Conversation is a series of Q&A sessions between the real estate technology industry's top leaders and MetaProp NYC Co-Founder and Managing Director Aaron Block. Topics include thoughts on the future of property and technology, corporate innovation activities, and executive development in the real estate technology space. What are your day-to-day responsibilities in your organization? As CEO, I don't have a lot of day-to-day responsibilities. Mainly I focus on making sure we have money in the bank, and that our team is happy and productive. The only regular tasks I have are weekly 1 on 1s with our team leaders, and our weekly Progress meeting, where we discuss our progress from the past week, where we need help from the rest of the team, and our plan for the next week. Otherwise, I spend a ton of time in both internal and external meetings with our team, prospective employees, our customers, and our members. I travel a decent amount - mainly for speaking engagements and new market launches. When we're raising money for the company, that becomes my full time job, and it's so time consuming. Describe how you became interested in real estate technology and innovation. I've always had an interest in technology and innovation. I studied entrepreneurship at Babson, and always intended to start a business. Before starting CompStak, I was a commercial real estate broker. While working as a broker, I saw tremendous opportunity to innovate in the commercial real estate space. In truth, if you were looking for it, the opportunity for innovation in the CRE industry was everywhere. The industry was so antiquated, and the question was not IF there was an opportunity to innovate, but what opportunity was best, and how could I make an impact. How is today’s real estate technology different from when you started your career? When I started working in commercial real estate, the only technology regularly used in CRE leasing in Manhattan was CoStar. On occasion I would use LinkedIn, Loopnet, RCA, PropertyShark, Jigsaw, or electronic public records data from the NYC DOB. Some brokers used CRMs, but most just used Microsoft Outlook and others used index cards (seriously). Today, there is technology that dramatically improves a broker's workflow in every step of the process. Prospecting is done on LinkedIn, CompStak, ProspectNow, Crunchbase, and other sites. Market Data to negotiate deals comes from RCA and CompStak. Deal management, workflow and space tours happen on VTS, Hightower Property Capsule and Ten Eight. Customer relationships are managed in Apto, Clientlook or REThink, and space is marketed with VTS, 42Floors, TheSquareFoot, OfficeSpace.com, Floored and others. All of these new tools provide tremendous value to brokers (not to mention investors, lenders, appraisers and others). They provide transparency in information, and accountability to landlords and tenants. What is the most important innovation and technology-driven initiative in your organization today? I'm most proud of the technology we've built in-house, which our members and customers never see, but which allows CompStak to grow incredibly quickly. We've built an in-house Mechanical Turk platform, combined with Machine Learning, Statistical Anomaly Detection, and workflow tools that allow us to process an average of over 30,000 comps a month, while maintaining high quality and direct analyst review. We've then built a sophisticated comp integration process, which allows us to maintain an average of 5 versions of every new comp we receive, uncover the differences between these versions and choose the best comp attributes to deliver a high quality experience to our users. I'm just scratching the surface of what it takes and what we've built to create a scalable platform for managing a massive quantity of data from a ton of disparate sources. This stuff is really cool. What do you do to stay on top of cutting edge trends and developments in real estate technology? I really enjoy the various CRE Tech events (too many of which have the word "disrupt" in them). Other companies in this industry are building incredible things, and a lot of them are taking inspiration from outside of the real estate tech world as well. I think if we all really want to innovate, that's what we need to do. We need to look at best in class technology and design in all industries and think about how to apply that to the world of real estate technology. Our tech team shares their code repos in GitHub, and our product team shares their designs in Dribbble. Of course, it's also important not to get too distracted with what other people are doing, and to focus on making your product as good as it can be. As a mentor, what is the #1 value you bring to a high-growth real estate tech start-up? Personally, I think the value I provide may be valuable to entrepreneurs more generally, than just real estate tech companies. There are a lot of things I would change the second time around, that would have accelerated our growth. My advice will likely be around effectively telling the story of your company, identifying the biggest opportunity possible, understanding how you will capitalize on that opportunity, and selling that opportunity to investors. Early stage entrepreneurs need to be tremendous story tellers and salespeople, and while it's partly art and partly science, it's definitely something that can be learned. Who have been your most important mentors and why? Jason Freedman from 42Floors once mentioned to me, that the best mentors are other entrepreneurs who have gone through what you're going through a few months ahead of you. I think he's dead right. I love chatting with entrepreneurs who have just closed the type of customers I'm trying to win, just raised the round of funding I'm planning to go for, just hired that big senior employee, or hit that scaling challenge. It's wisdom that is incredibly relevant, and practical. My favorite recent business book is The Hard Thing about Hard Things. I've also really enjoyed Zero to One, anything by Eliyahu Goldratt, How to Win Friends and Influence People, Delivering Happiness, Built from Scratch and Double Dip by Ben and Jerry (really). What is one interesting thing about you that most people don’t already know? I really enjoy manual labor. I get tremendous pleasure out of fixing things, painting things, organizing things, building things and cleaning things. I love the sense of accomplishment I get from completing a project. Incidentally, I get that satisfaction, even if I'm not the one doing most of the work :-). That's part of what I love about being an entrepreneur. Our team is always doing new cool things, and there are lots of small wins along the way. As the Head of Investments at Tusk Ventures, I am responsible for overseeing all aspects of the firm's venture practice and investment strategy. My day-to-day responsibilities include sourcing, evaluating and recommending companies that satisfy our investment mandate and are positioned for Tusk Ventures to add significant strategic value in our sweet spot of solving complex problems in highly regulated marketplaces. We have reached the point where cash has become the least valuable asset that an investor should bring to the table. Along with funding, entrepreneurs need to look for a trustworthy partner who provides the relevant experience as well as access to people and distribution channels that they would not have otherwise. I focus on identifying the right startups (10-12 annually) where we are best positioned to foster these types of partnerships by helping them navigate the regulatory hurdles, incumbent players, and public perception to become the next generation of great companies. I became interested in real estate technology while working as a Director at Blackstone within the Innovations group. My role was primarily focused on the firm's corporate venture capital portfolio, identifying companies that could help accelerate either the firm’s operations or those of our portfolio companies. Given Blackstone's global footprint in real estate, I felt that it was an area where we could really help tip the scales for a company in the vertical. From this unique position at the nexus of real estate entrepreneurs, investors, and end-users, I led the firm's first real estate technology investment in VTS. Since then, the CRE technology space has experienced explosive growth in terms of dollars raised and number of startups in the space. Given that I work in venture, my sole focus is to foster and accelerate entrepreneur driven innovation by providing both intellectual and financial capital. Tusk Ventures is focused on selectively partnering with startups to solve complex problems in highly regulated marketplaces. Our team develops an underlying strategy and executes full scale multi-jurisdictional campaigns to eliminate regulatory hurdles, achieve policy goals and shape public perceptions. Where possible, we collaborate with governments and incumbent organizations to pursue aligned goals. Where necessary, we challenge regulatory regimes and assemble coalitions to change the status quo. Our mission is to serve as a catalyst, providing sustainable growth for the next generation of great companies. In addition, my team and I use private company market data to conduct analyses and ensure that nothing has gone under our radar. Bill Murphy (CTO of Blackstone and former Co-Founder of Capital IQ) is a mentor that had a tremendous impact on me and helped shape my career path into venture capital. The only thing better than learning from your mistakes is learning from the mistakes of others, and he gave me the opportunity to do that by sharing the invaluable insights he learned while sitting on the other side of the table as an entrepreneur at Capital IQ. By running his department like a standalone business, he gave me instrumental exposure into being a successful operator. Finally, his management style was one that really resonated well with me. Tenacity, grit and drive are all imperative to success, and his career is proof of that. I am going to skip From Good to Great and The Art of War and hopefully go a bit off the beaten path here with When Genius Failed by Roger Lowenstein. The book illustrates several extremely important themes in navigating markets and building a sustainable business. First, no matter how successful you have been in the past, you must continue to push yourself to always strive and learn more. In addition, it is imperative that your business strategy remains nimble. Thanks to Innovation, the world is rapidly evolving. However, that also means that what once was a profitable business model can become obsolete very quickly - always stay on your toes. The book begins a chapter with one of my favorite quotes - "Markets can remain irrational longer than you can remain solvent", by John Maynard Keynes. Nobody is insulated from rapid changes in market dynamics – every VC could be banging down your door today, but not return your phone calls tomorrow. Founders should always remember that. Although I am originally from Florida, my favorite thing to do (outside of investing in startups) is back-country skiing. Be the first to hear about our upcoming events and the latest in #PropTech news.